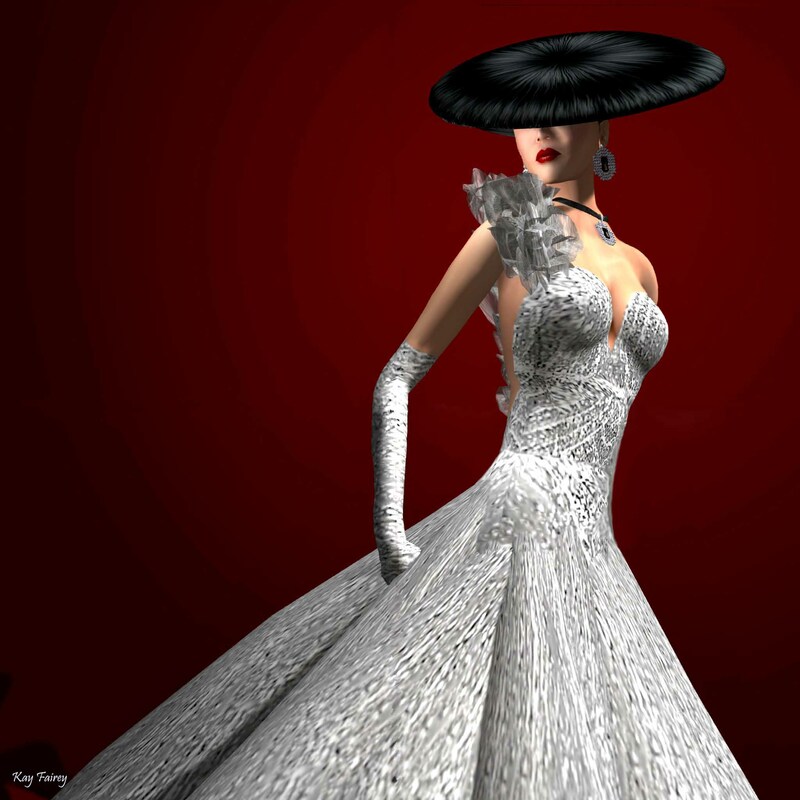 Sascha Frangilli, designer and owner of Sascha’s Designs, has just released two gorgeous gowns. One white, called “Purity” and another black called “Tainted“. Like most of her gowns, Sascha has included so many outfits parts that allow infinite styling possibilities. She even includes three different pants layers and five different skirt shapes. For the price you pay, which is very reasonable to begin with, this is so much value for your money! Instead of blogging both gowns, I decided to try two totally different styling using the different outfit parts in the Purity set. So here they are. For the first look, I used the ‘split pants’ and ‘hip split swirl’ which is a half skirt that attached to the right leg, leaving the left leg bare. I also tried a slightly fantasy look. The Exile hairbase that I used here is an excellent hairbase set to have in your inventory as you can get a whole fatpack of different coloured hairbases for free at the Exile store. You will find the vendor placed right in front where the new released hairs are sold. And for the second look, I used the ‘full pants layer’, ‘skirt layer’, ‘fluffer skirt’ and ‘big collar’ in the Purity set. The parts called ‘big collar’ is the elaborate bust hem and shoulder piece that you see in the pic below. I took another shot just to show another top arrangement that the set allows. Here I used a ‘stola’ instead of the ‘big collar.’ Actually the possibility is just too many and the blog post will end up way too long if I tried to show all. But at least this will give you a glimpse of the variety of styling that is possible. Sascha Frangilli of Sascha’s Designs is releasing a very hot and exciting pants series! It’s called “Paisley Pants” and comes in four amazing “dark” colours as well as another four “light” colours, which is eight colours in total! Obviously the “light” colours tend to have a more spring-like feel but it’s been really cold this winter and a bit of a spring feel is something we can all welcome as long as we are living in countries that have cold winters. For me, it’s been a tough cold winter this year and I am totally in love with the bright colours of these pants to brighten up my day! Here, I styled one pair of pants from the “dark” series and one more from the “light” series. For the “dark” pants, I styled it with one of the newly released fur bolero jacket from Bliss Couture for a more winter look. The Ruffle Coat from Bliss Couture that I am wearing also comes in eight colour variations: blue, grey, magenta, noir, olive, pearl, purple and red. With so many colours to choose from, I am sure you will be able to find one, if not more colours, that you like! These fun and pretty pants are a great way to add some colour to our winter fashion! I made the second look using a pair from the “light” colour series. These are very fun to style too as you can easily pick one colour from the pants texture and add that colour as a point colour to your look. Here, I styled it with a shirt from Coco for a more spring look and an amazing bag from Indyra Originals that is colour change in the main leather part and straps that allows up to 729 combinations! The makeup I wore in both looks are from Egoisme. 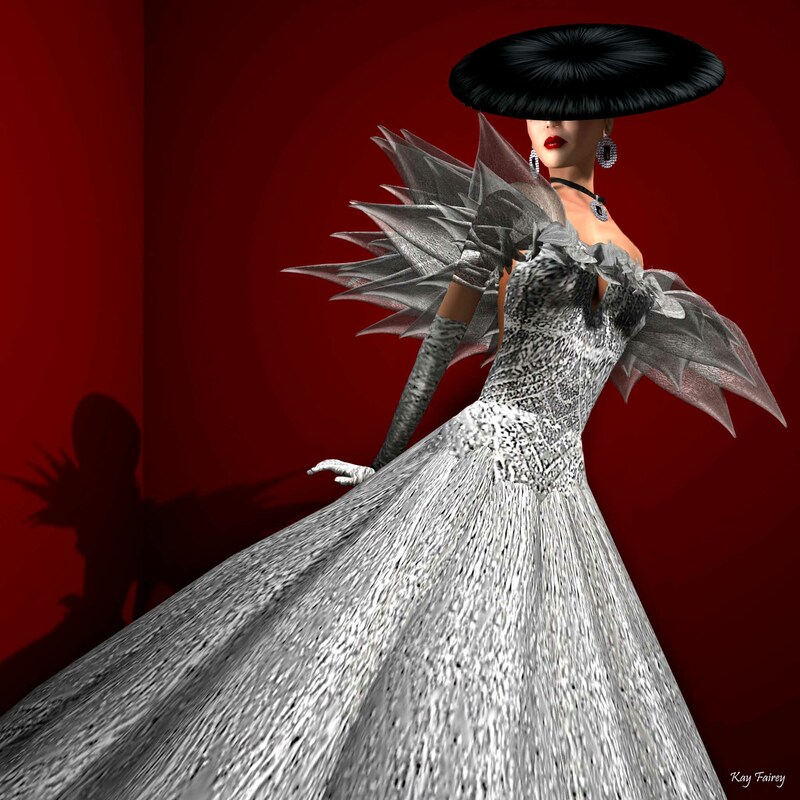 Today was the first show in 2012 for my bi-weekly live TV fashion program, “SLTV – The Runway” in SL Japan, and today we featured Egoisme, inviting designer, Ramses Meredith, as our featured designer. We had a great show and a good laugh while Ramses showed some of his new releases for this winter. These are the names of the models who modeled in this show. All female models were from Dione Fashion Agency joined by guest male models. And this was the outfit I wore, although I changed the makeup a bit after the show. 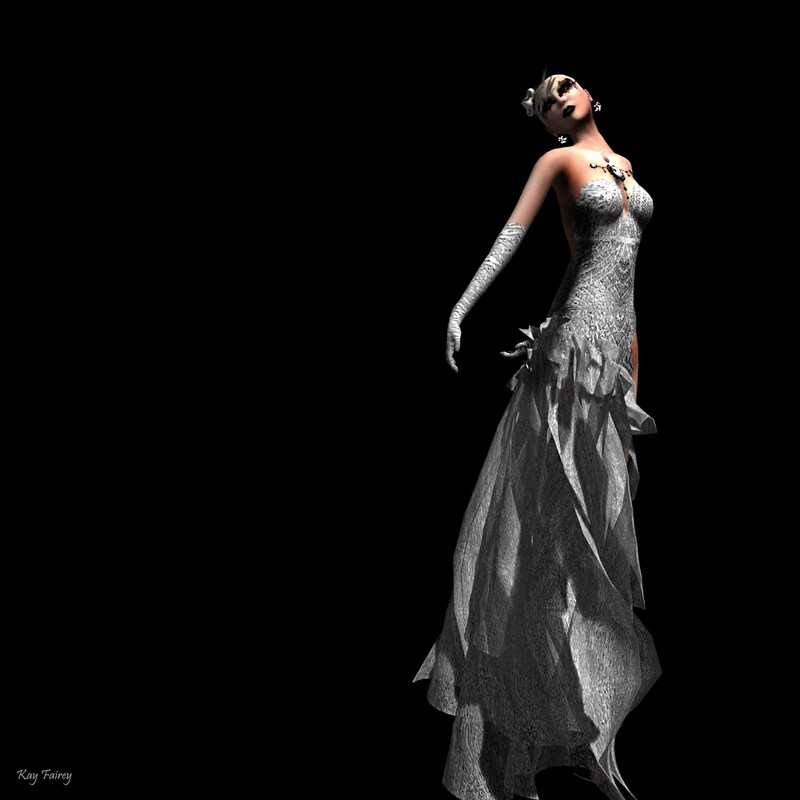 The skin used here as well as the makeup is from Egoisme also, featuring the latest skin, Sora in pale skin tone. The skins sold here are all basic skins in different skin tones. The pack will include skins with eyebrows and no eyebrows. Then for every skin, there is a big set of makeup tattoos as well as eyebrow tattoos sold. So you can just use the eyebrow on the skin or opt to wear one without and choose a different eyebrow to go with it. Makeups are extensive and each skin set has its own set of makeup tattoos. During the TV show, Ramses explained that he envisions a type of women he wants to create in RL first. Then he creates skins for that women creates makeups which that particular type of women might wear, which explains the different makeup sets available for each skin type. For those who might be interested, here is the link to the archive film of this show. Please be aware that some parts are in Japanese. Real life designer, Meiling, launched her RL Spring/Summer Collection “Grand Riviere” recently starting off with her promotional garment Wind Song Dress, which I blogged about in this blog. 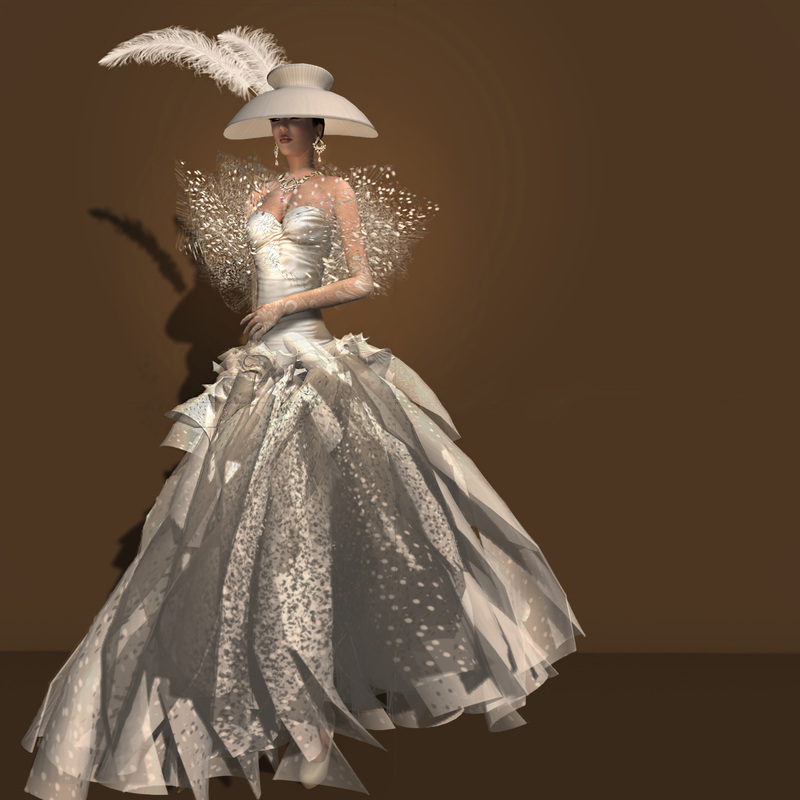 Now she has launched more from this all-white collection which has gathered much press coverage and excitement in RL and we are seeing more coming into SL! 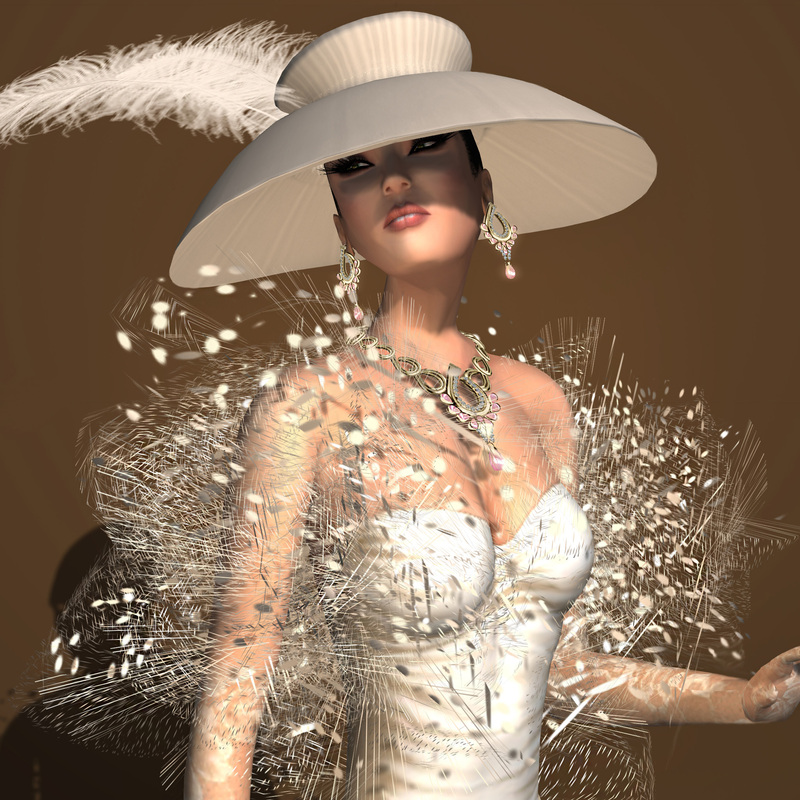 Here, I will introduce two of such most recent SL launched the White Peony Gown and the Mt. Plaisir Dress. Although they are all different in design, the simple, clean and yet elegant style that Meiling is known for is inherited in her SL collections. The White Peony Gown is a very simple gown seen from the front but the back of the gown is all covered with flowers made from the same material and positively betrays our expectation by presenting a gorgeous and elegant look. 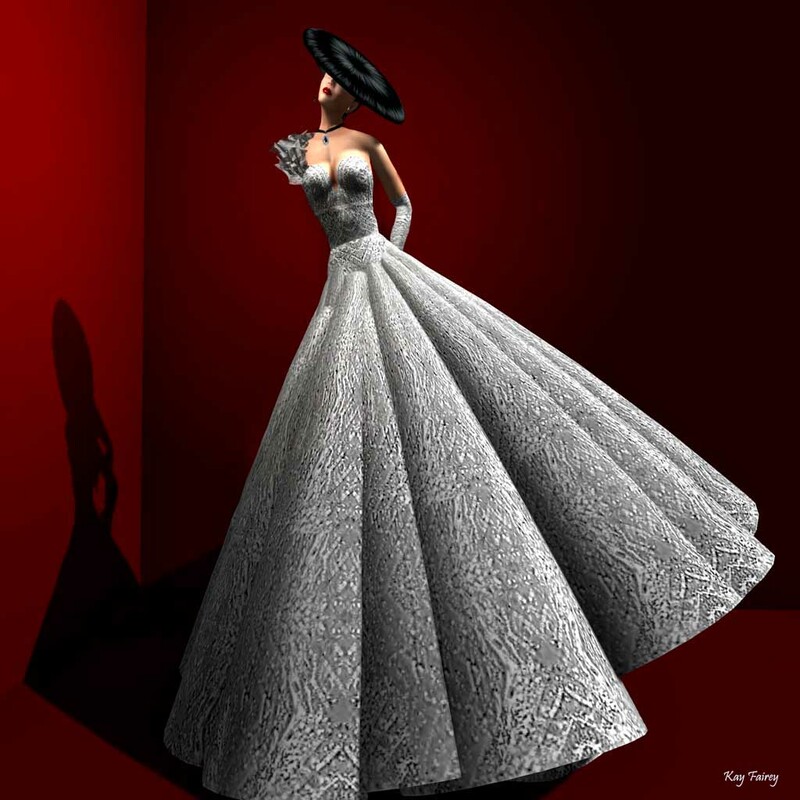 This gown is most likely best styled by keeping the rest a simple and clean as the frontal view. Meiling‘s real life Collection seen on the runway during the Caribbean Fashion Week that was held last month. And the next outfit is the Mt. Plaisir Dress which has a very sweet and innocent look which I so love about this dress. *Note: ViLada mainstore is currently under construction but the branch store in The Best of SL Boulevard is in business. Posted by Kay Fairey, Agency Director and model for Boulevard Agency, Miss Virtual World Modeling Academy Executive Director, LOOK Elite Models COO, Fashion Editor for the Best of SL Magazine, Producer and Host for “SLTV Fashion Style – The Runway” which is a bi-weekly live fashion program by Second Life TV in SL Japan. 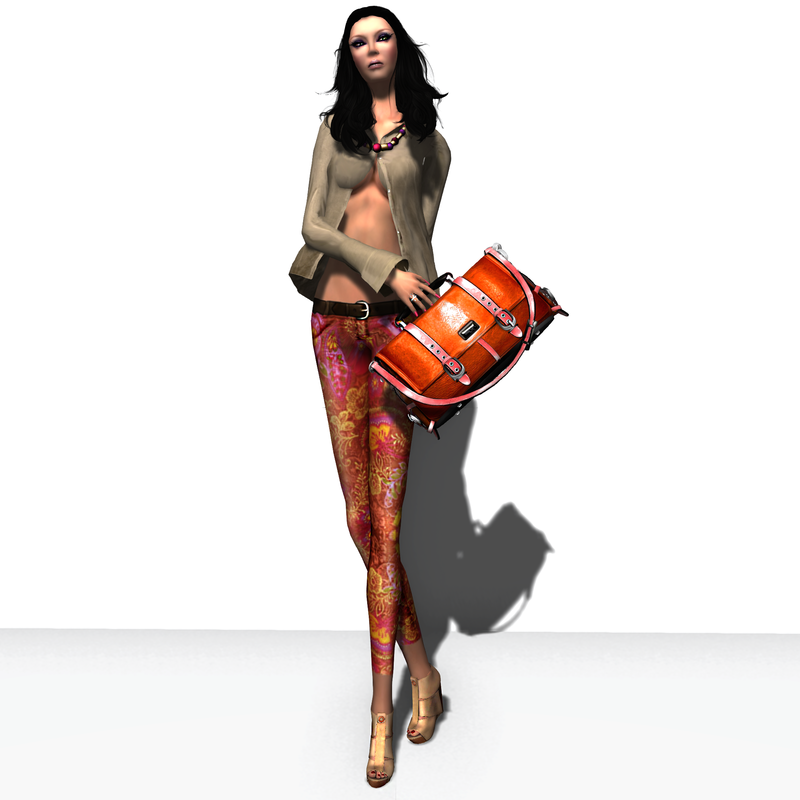 Glitterati by Sapphire with designer Sapphire Teebrook has just released “Alisha Coffee” on July 3. It is a casual set that includes a corduroy type tube top, a short jacket in cream colour and three types of corduroy type pants that you can style; slim pants, boot cut and capri pants. Of course you can style this with or without the jacket and with different pants so it a very versatile set with a very good value. Here I styled the slim pants with the short jacket and wore another new items from Glitterati that was released together with the outfit set, which is the really cute sneaker type ankle boots that I am wearing here in the pics. This outfit set is sold for a discounted 199L for a few days and the ankle boots are offered for a whopping 75% group discount for a limited time also. So run and grab them now before the limited sales is over!! I matched these with a hat from LeLutka, a really nice casual tote bag from Boom and also a new type of jewelry released from ByKay. These Cleo Jewelry were created by KayLeigh McMillan with special care taken to keep the ARC (Avatar Rendering Cost) down. 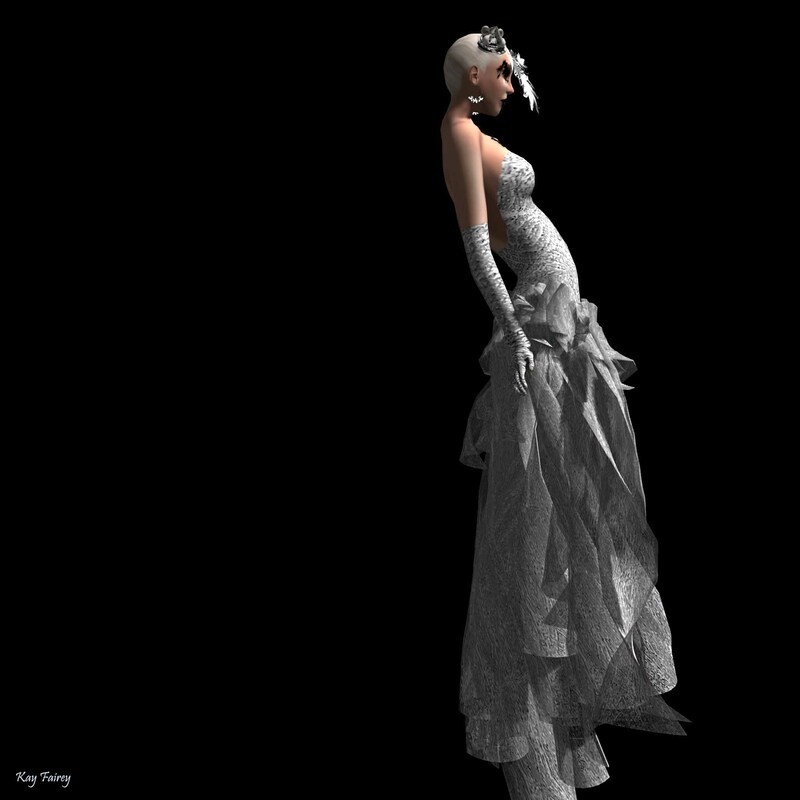 So this new low ARC jewelry will be perfect items to wear to heavy-lag events and fashion shows. KayLeigh will be releasing more designs in her low-ARC jewelry series so these are definitely worth keeping an eye on. 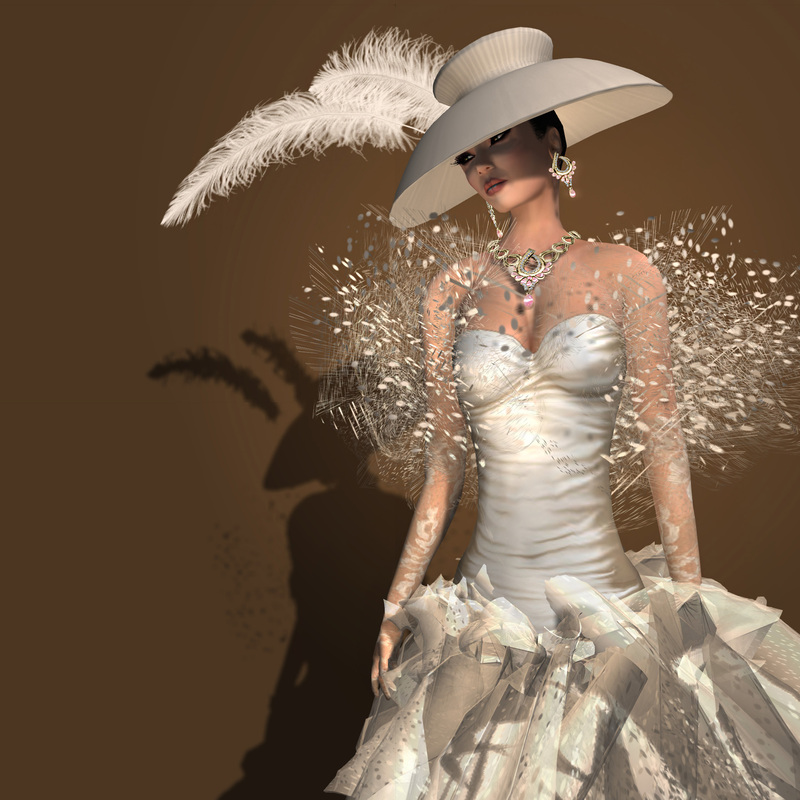 This is the second new release introduction from Bliss Couture. 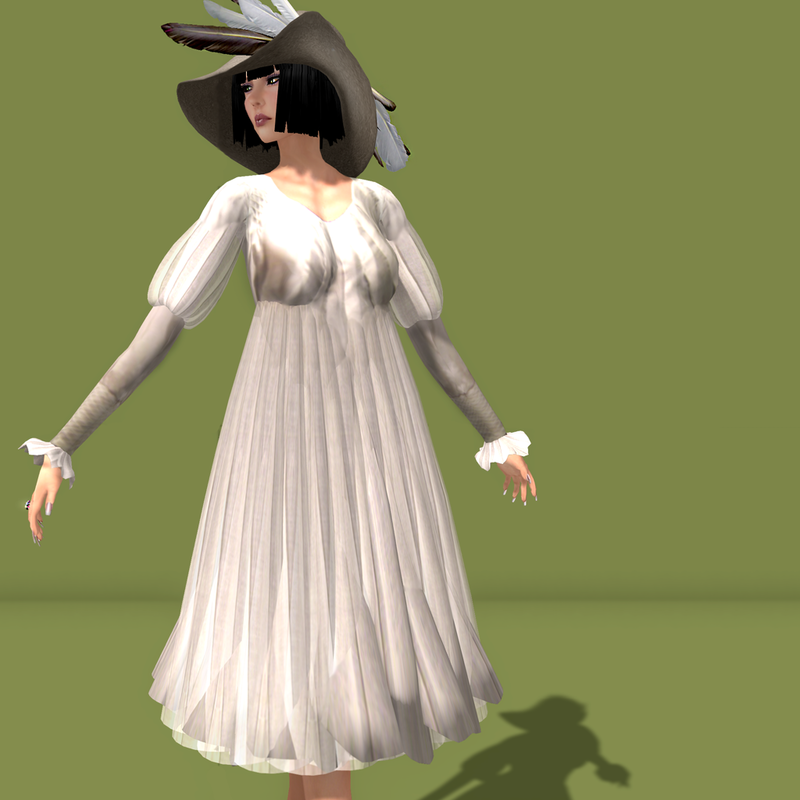 Another really nice dress release from Bliss Couture is the Amelia Dress. Here I am wearing the black version called Noir. It comes with a mini poncho in lace that covers the shoulders but this can be removed as well is you prefer to accessorize this with a necklace or a scarf. The gloves shown in this picture are included. This will be a perfect outfit to go to a fashionable club or dancing!